I didn’t want to go anymore. I was having anxiety attacks and when that happens, I can’t think. I feel numb. I literally had nothing to say. I had worked myself into a frenzied state of anxiety because…. I didn’t know what to do. I wanted to email the Chaplain of the Wounded Transition Battalion who invited me to fly to Nashville, to lead my first Spiritual Whitespace Retreat for the Military. I wanted to tell him. I’m sorry. I can’t come. Only a few people knew I was going. No one would really know. This anxiety comes from the survivor-me from childhood, who is strong at saying yes to everything and everyone — except to me — who has become exhausted and depleted. But, God is awakening the real me who has been hiding her heart her whole life. God’s doing this by asking me to say YES. It is anxiety triggering for me to say YES to God’s best yes for me: becoming the beloved. Because that means I might have to face the awkwardness of disappointing others. And that fear of not being enough terrifies me to the core. My best yes isn’t something I even considered — until just last month, when I wanted to say no to myself again. Three weeks before my flight from California to Nashville, after I preparing the retreat material, Chaplain Captain Sterling emails to tell me plans have changed. The wounded soldiers injured in combat — the people we originally had planned the retreat for — did not sign up for the retreat. Instead, the officers registered. The leaders. The strong ones in charge of the soldiers’ recovery and transition back to active duty or (in cases where injuries are irreversible) to unexpected re-entry to civilian life. Not only that, the battalion commander who leads 500 and his wife have signed up to come. I was confident the material would connect with wounded soldiers. Because I am wounded too. They on the battlefield of Iraq and Afghanistan, me in the battlefield of the heart. But I highly doubted the officers — known for their ability to bring order and operational excellence — were interested in doing touchy-feely, soul-vulnerable work. Never mind sharing or confiding. This wasn’t just me going to speak for an hour. If someone doesn’t like me, well, I figured if I was just a one-time speaker, I guess not too much damage was done. I might be wasting a lot of important people’s time. To seal my apparently doomed fate, the chaplain tells me a week before that the weather in Nashville has jumped to 99 degrees and humidity so thick, “you’ll feel like you’re in an oven at over 100 degrees”. There goes my afternoon solo nature hike. Out the window. 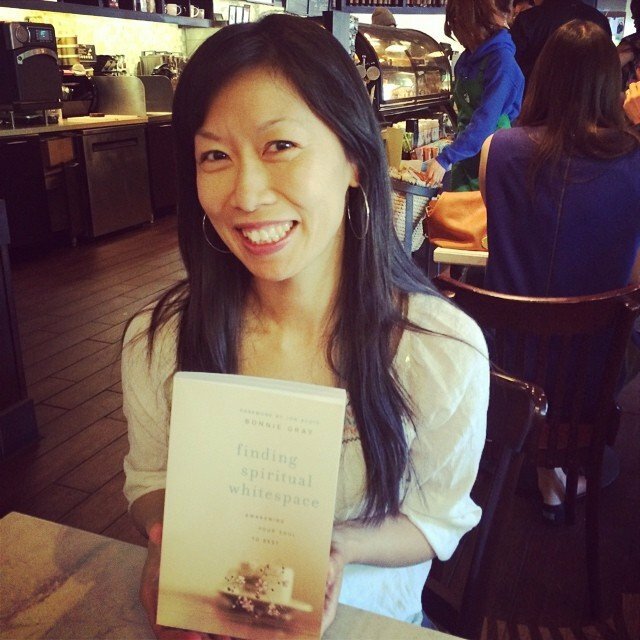 The only option I had left was to do a whitespace activity I’ve done with women — painting God’s love notes. Paint night. But, come on, 90% of the officers coming were men. Would they even want to paint — in the afternoon? I drew up multiple versions of the retreat, trying to neuter the material and make it more seminar focused, chock full of information, studies and anecdotes. But, what I was really doing was trying to avoid the awkward disappointment of saying no. I didn’t want to go and say no to my fear of rejection. I wanted to hide instead facing the embarrassment of appearing weak. I didn’t want to say no — to other people’s expectations. I didn’t want people to be disappointed when they finally met me, because maybe I wasn’t what they expected in a retreat speaker. I was about to say no to God’s best yes for me. I knew I couldn’t really back out of leading the retreat, but I didn’t know what to do. In that moment of struggle, I decided to take a break and pick up Lysa TerKeurst’s newly released book, The Best Yes. 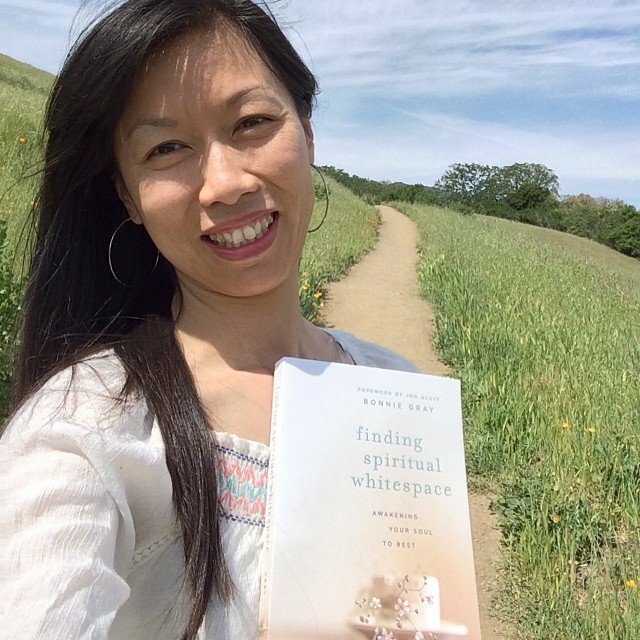 Lysa is one of the few friends I called, when I first experienced debilitating panic attacks triggered by PTSD that surfaced while writing my book Finding Spiritual Whitespace, when painful childhood memories opened up fresh and I began reliving them. Lysa was also the first person who read my book and wrote an endorsement. Lysa understands the fear of saying the best yes to God when you know it could very well lead others to be disappointed in you. 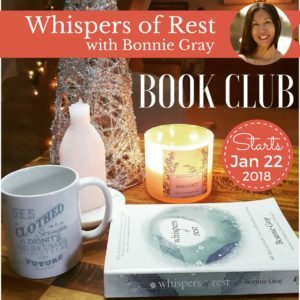 As I flipped through the book, looking for a chapter to meet me in my moment of despair, the chapter titled “The Awkward Disappointment of Saying No” jumped right at me. I felt as if Lysa herself was talking to me — just as she did when I first confided in her of my troubles. It made me sit up and stand at attention. Could going to Nashville to lead these officers on a soul-uncovering, self-discovery journey with God be my Best Yes appointment? I suddenly felt calm and clear about my mission. Maybe I’m not sent to make everyone comfortable. Maybe the journey of the soul can’t be done without disappointing someone’s expectations. Maybe God’s best yes for all of us — to be vulnerable, to uncover our deepest stories and share them — involves awkward moments. What if everything beautiful, life-changing and ground-breaking new hinged on whether I said my Best Yes to God? 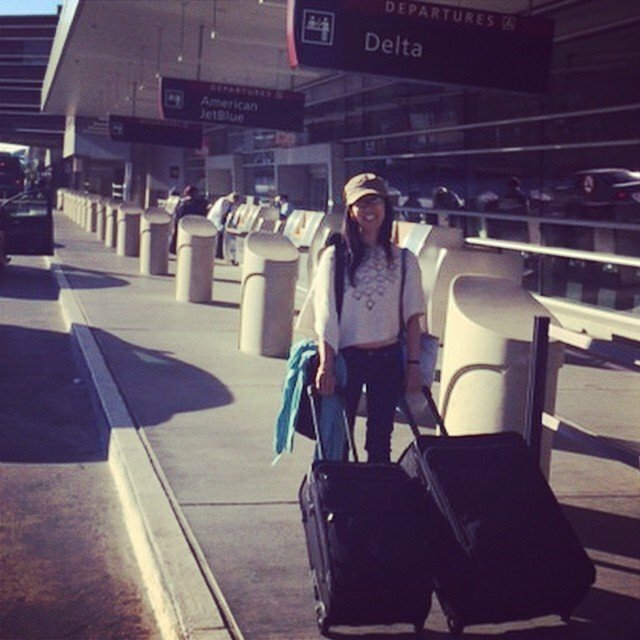 Could God be orchestrating a Best Yes appointment with the officers — through me? Maybe that’s why this last minute swap occurred. My heart started pounding in a new way. With excitement. I read Lysa’s words with anticipation. “How do we we learn to do this? The answer isn’t what might bubble to the surface of our minds first. We might think we just need to become more confident. But, it goes deeper than that. It’s not a matter of gaining more confidence. Confidence is being more certain of our abilities. As I was freaking out about what God was calling me to do, I began reading that Caleb, one of the two spies along with Joshua who made it into the Promised Land, did not make his decision based on his confidence that things would work out alright. It was Caleb’s conviction, not his confidence that led him to say yes to God. And that inspired me to go — not out of my confidence, but my conviction. And it turned out to be the most powerful, amazing and life-changing experience for the officers and myself. 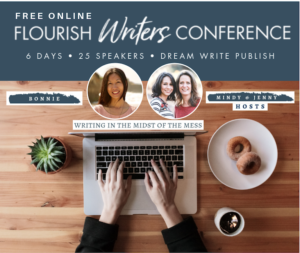 I never imagined the first Spiritual Whitespace Retreat I’d be doing — talking for 11 hours over the course of a weekend would be to men in the military and therir wives (I was born and grew up in California. So, I never even shot a gun or knew what one sounded like, until after I accepted the invitation. I went to go learn and try it so I could say I shot a rifle!). I didn’t even write the book for men and here I was guiding them to journal their childhood stories, do a solitude nature walk (we cut it short) and do touchy-feely art stuff. I had zero confidence it would fly, but I definitely had conviction. God moved in amazing ways and really deep connections were made because stories were shared. One officer over six feet tall who was deployed to foreign territories three times came me to me, with his wife — and asked me how he can live life more as the beloved. Lives were changed, marriages were strengthened, and we all came away refreshed and renewed in a way we’ll never forget. And that art painting project I feared wouldn’t go over (the men said the last time they painted was in elementary school)? It happened at the end of a very long day before dinner. 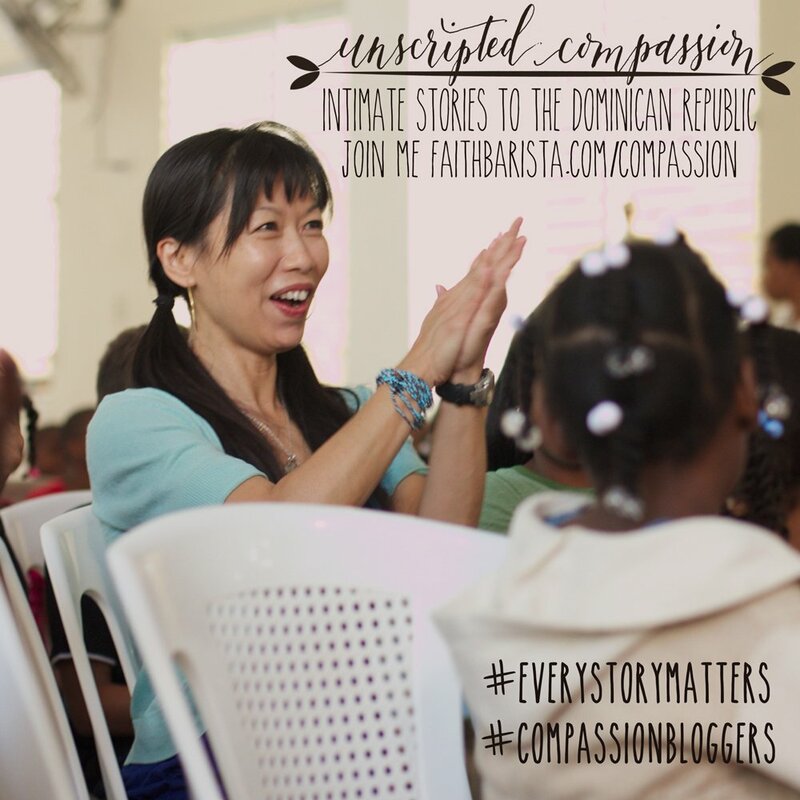 It turned out to be the one activity that everyone couldn’t wait to share their stories. There were laughter and tears. Everyone had so much fun and yet, the beautiful stories that were painted were deep, soulful and personal. The chaplain said that in the five years, he has never seen the level of sharing and the depth of stories and connections that were made in one weekend. It wasn’t Caleb’s confidence that led him to the Promised Land. It was his conviction in God’s best yes. I never knew saying my Best Yes would involve fear and the awkward feelings of anxiety and fear. But, I’m forever changed because I didn’t say no to me last month. Don’t say no to you. 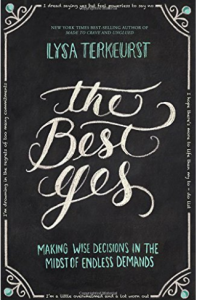 If you’d like to get more inspired to say your Best Yes, pick up a copy of my friend Lysa TerKeurst’s amazing new book The Best Yes: Makig Wise Decisions in the Midst of Endless Demands. 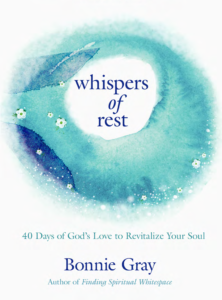 Then pair Lysa’s book with a copy of my soul-resting book Finding Spiritual Whitespace: Awakening Your Soul to Rest. We can be kindreds with you on this journey to saying yes to God’s best. This is a best yes place for you and me. 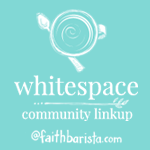 Share a whitespace moment this week. Oops, that wasn’t supposed to go out yet. Anyway, the only reason I could think of for NOT sharing is that it might make someone uncomfortable, because I shared a hurt that was personal. Many of us live with soul-gripping difficulties. Why shouldn’t our sisters in Christ hear about them so they can pray with us, come alongside us, and yes, sometimes cry with us? It seems to me that’s what the church is supposed to be. I just wanted you to know your comments today were especially timely and encouraging for me…THANK YOU! Thank you for this gentle push forward, Bonnie. To move ahead not with confidence, but with conviction. I’m afraid I too often let the lack of confidence hold me back. Too afraid of disappointing people instead of giving God my best yes. That exact pairing of books… For me, “FSW” first…. Was the catalyst God used to work a healing and freedom I hadn’t even realized I was so desperate for. God has gifted both of you with messages of a His grace which are revolutionary to those who gather them. May your ministry platform only broaden with fruit! I praise God for your past because God sure is using it for His glory! I love to read your posts and find that He really does give beauty for ashes! Thank you for your obedience to hearing God’s best yes for your life because it is obvious you blessed many lives! Another amazing post, Bonnie. I am so glad you chose to do this assignment. Please pray for me to clearly hear and obey God’s directives in every aspect of my life in Christ. Kindred spirit, you are marked with Love. I am having an issue with saying no to being involved with a women’s group at church. I am not ready to fellowship with some of the women. My sister let me know, she refused to join because there is a lot of drama and at times arguments. Do you have any advice how to say no to a woman who is aggressive in her approach? I am introverted and don’t want to cause to much friction and stay at that church and feel some comfort. You with military staff – me with my controlling Mother. My poor husband has been patient as I’ve allowed her to control me and my family. God has been prompting me to change this. It is ridiculously unhealthy but I allow myself to be controlled by her possible disappointment in me. 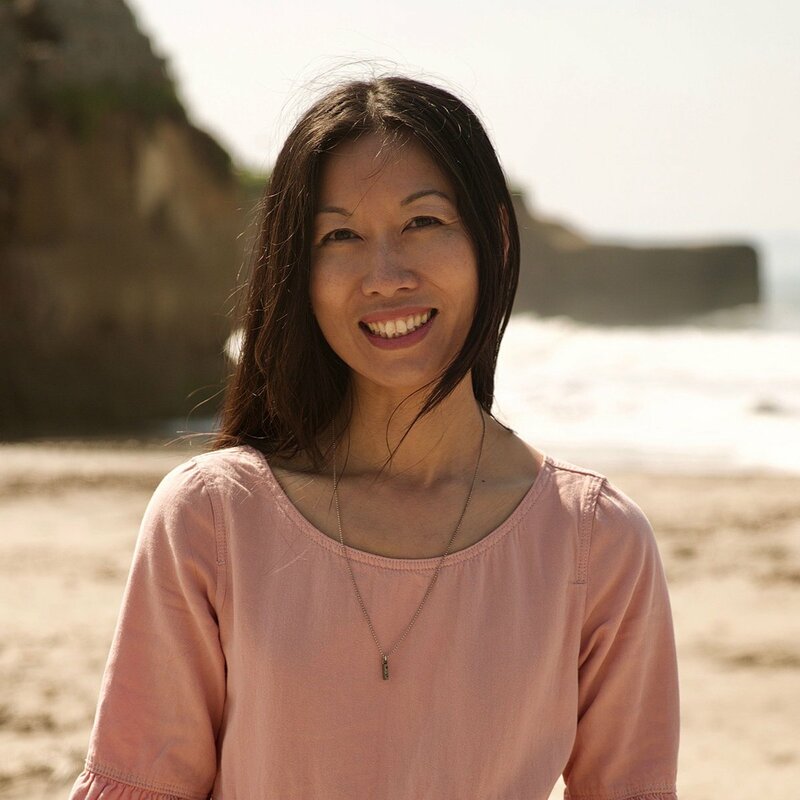 I identified in each of your thoughts and feelings and so deeply appreciate you allowing yourself to be used by God – to be so open – to confirm to me that I am truly on the right path to making healthy relationships for me, my husband and two precious children.